Many months ago I visited Berkeley to go to a wedding of a really good friend. After a pretty serious night out, a bunch of people were going to this place called “Bakesale Betty” to get something called a fried chicken sandwich. Sometimes when I hear of a new sandwich or something, my first thought is how disgusting that idea sounds. Not this time. As soon as I heard the name, “Fried Chicken Sandwich” I wanted one. I didn’t know what was on it or really anything at all about it except that it involved fried chicken. As a slightly hungover dude, that sounds pretty awesome to me. It turns out that I was right. The sandwich was amazing and many months later I decided to reproduce it one day. Now the original had some sort of delicious slaw on it, but I did my own twist on it. 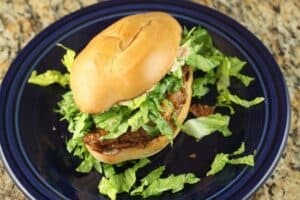 Fried chicken breasts between toasted bread with a chipotle mayo and lots of crunchy lettuce. A serious treat. 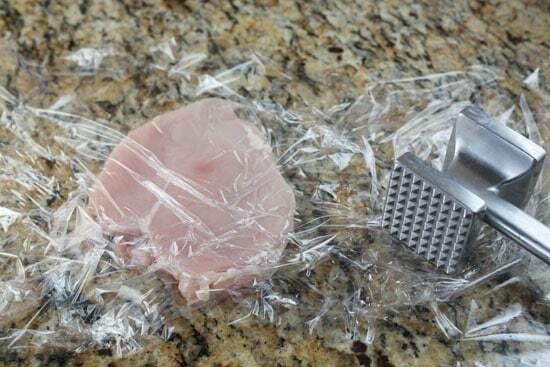 1) Pound each chicken breast 1/4 inch thick between two pieces of plastic wrap. No need to pound it hard. If you don’t have a mallet, you can use a rolling pin or bottle of wine. 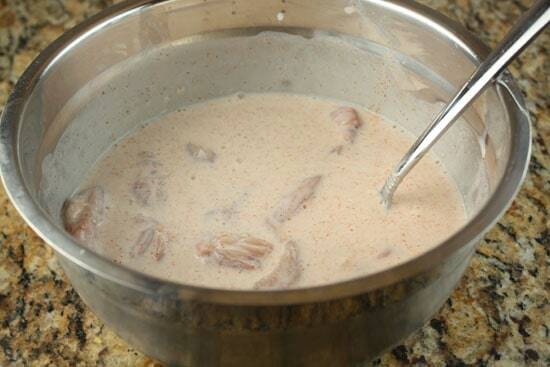 2) Add breasts to buttermilk marinade to sit for at least an hour, but overnight works best. 3) Remove breasts from buttermilk and dredge in flour mixture. Let sit on a plate to let the flour stick to the chicken well. 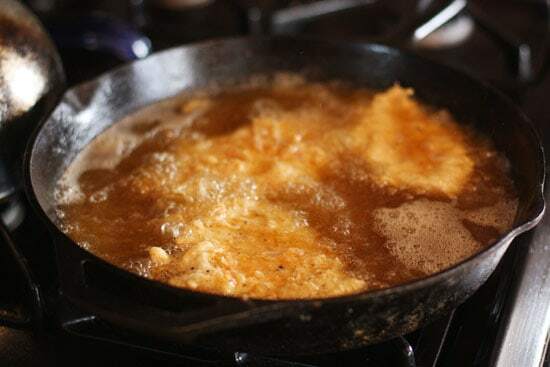 4) Fry breasts in oil at 350 degrees for about 4 minutes per side. They should be golden brown. 5) Let chicken drain on wire racks over some paper towels or on a paper bag for a few minutes. 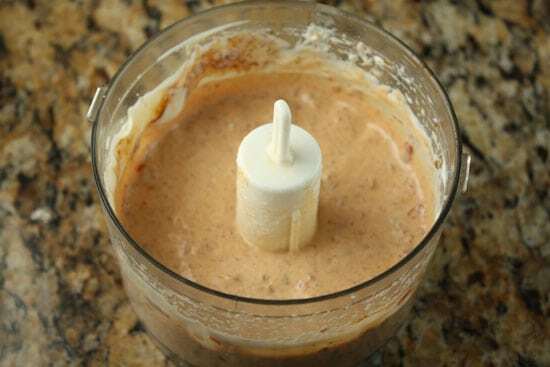 6) To make mayo, pulse mayo and chipotle peppers a few times in a food processor. 7) To make sandwich, toast breast well, then slather with mayo. Add chicken breast and a big handful of chopped lettuce. I’m not entirely sure what cuts the original sandwich used, but I decided to use chicken breasts just because they are easiest to make uniform. Start by taking each chicken breast and pounding them until they are an even thickness between two pieces of plastic wrap. About 1/4 inch thickness works really well. If you don’t have a mallet, you can also use a rolling pin or even a bottle of wine. No need to go crazy. Then add all the chicken breasts to the buttermilk marinade. Ideally, you could let these sit for at least an hour, but even 15 minutes or so will give you some good flavors. You could prep these the night before you intended to make the sandwiches without a problem. 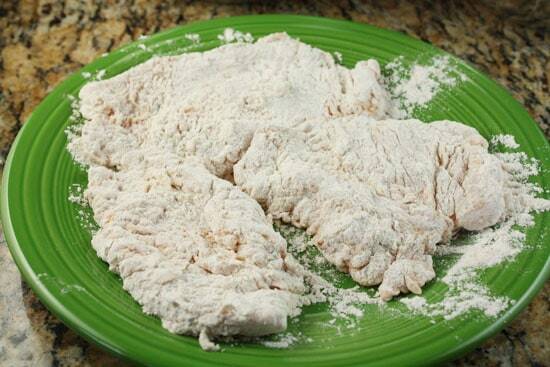 When you’re ready to make the sandwiches, take each breast and dredge it through your seasoned flour mixture. Let these sit on a plate for a minute or two so the flour can form a nice crust on the chicken. 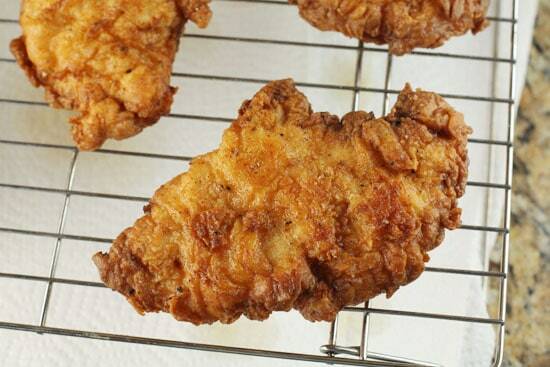 These breasts are really easy to fry. Just bring about an inch of oil to 350 degrees in a large skillet. I like my cast iron skillet for this. Once your oil is the right temperature, add the chicken breasts and let them fry for about 4 minutes per side. You might have to fry two breasts at a time depending on your pan size. Cast iron is perfect for this. Once the chicken comes out of the oil it should be golden brown and crispy. I like to let mine drain on a wire rack over a few paper towels. This makes sure the chicken stays nice and crispy. This is gonna be great in a sandwich! I wanted something nice and spicy to go with my chicken so I made a really simple chipotle mayo. Ideally, you can give these two ingredients a spin in a food processor. If you don’t have a food processor though, you can just dice up the chipotles really finely and then stir them together with the mayo. 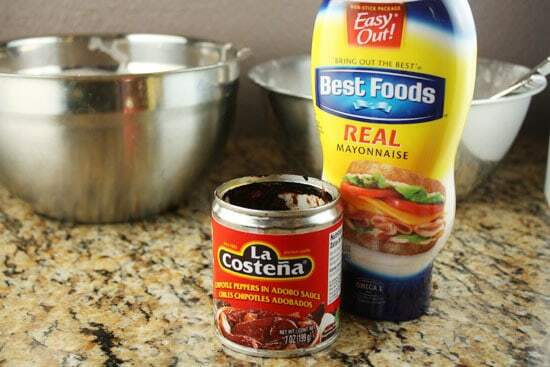 This is a pretty spicy mayo, but it goes really well with the sandwich. I’m not normally a huge mayo fan, but this hits the spot. There’s really only three parts to this sandwich besides the bread. Each part is pretty important though. When you’re ready to make a sandwich (or four), toast the bread really well. I like to toast mine for a minute or two under the broiler. 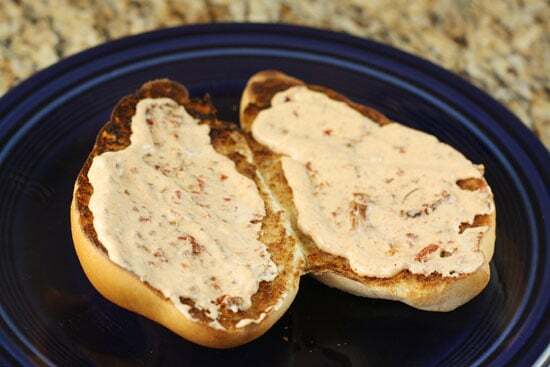 Then add a good schmear of the chipotle mayo on each side of bread. 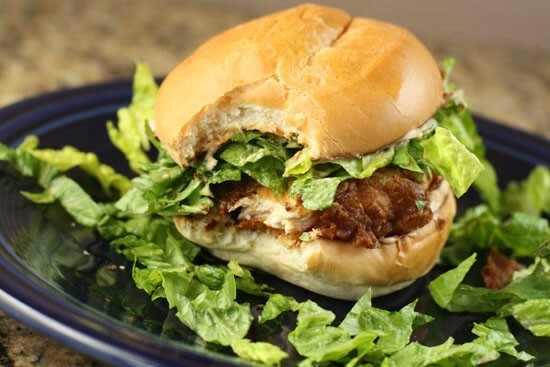 Add a chicken breast to one side of the bread and a big handful of chopped lettuce to the other side. The lettuce is really good on this sandwich. It adds a refreshing crunch to it. It’s okay if you lose some lettuce out of the sandwich. 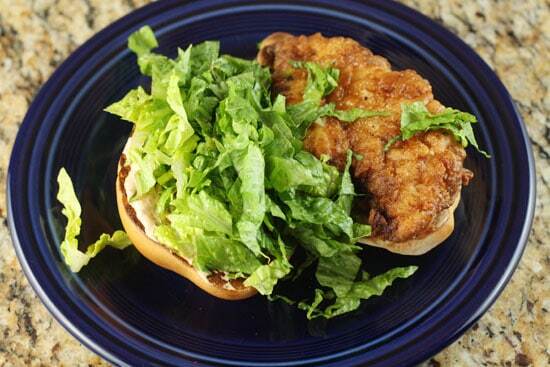 Chicken on one side, lettuce on the other. Eat this as soon as possible! If I had a food truck, this would be on the menu. This isn’t the same as the original version, but it’s definitely inspired by it. And it’s definitely equally delicious. All of the parts are pretty important though. I don’t recommend substitutions! If you’re in the mood for a good, hearty sandwich, this is about as good as it gets. This could be your first submission as the McDonald's food developer! Fine if you won't, I will. Here's a good substitution: ranch instead of mayo. I love me some spicy ranch and chipotle is probably my favorite spicy flavor. Also you could easily use fat free ranch cuz the chipotles will over power it anyway. Now I really want this sandwich. Ugh! I think I'll whip up a chipotle dressing for my salad instead. My husband is not an adventurous eater; he has about 5 foods he likes to eat, chicken being one of them. And around these parts, he's known as 'Just Lettuce', because that's all he likes on his sandwiches, burgers, etc. So this looks absolutely perfect for me to make for dinner one night! Thanks for the step-by-step instructions too! Very handy. Awesome! Thanks for the link. I knew there was some sort of pickled business on the thing. This looks absolutely perfect for me to make for dinner tonight! Thanks for the recipe. Perfectly executed, I love this one. The spicy mayo had me from the beginning. Chipotle gives the best flavor because of it's mild heat and smoky flavor.